»Uncategorized»Abortion: Is it the worse sin? Abortion: Is it the worse sin? Abortion is sin. There is no doubt about it. Just a few days after conception, the baby’s heart is pumping blood through its body. You can see fingers and toes forming, you can hear the heart beat. 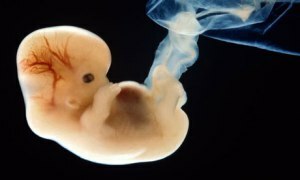 Yet, these babies are considered just a “mass of flesh” by the abortionists.